Perhaps every traveller who has ever dreamed of a trip through Europe shares this one brilliant image of days lazily whiled away under the bright sun shining over sparkling gold beaches of the French Riviera. And be it in the winter or in the summer heat, thousands of tourists make their way to the French Riviera each year. French Riviera, with its quaint houses and warm sunlight that has brushed the skin of thousands of celebrities as it continues to keep the Belle Époque thriving and alive, is ever at the very top of every dreamer’s to-visit list. And why wouldn’t it be? With legendary places like Cannes, Nice, Antibes, St-Tropez, St-Jean-Cap-Ferrat and Vellefranche-sur-mar, it is the height the of the lazy, luxurious French dream. So, if you are planning on making that dream come alive, rent a vacation home in French Riviera and get ready to explore. A lot of these towns can be experienced on foot. But there is also a budget friendly rail network system that can take care of the image of you in a lush white hat, book and wine in hand, watching the French countryside slip drowsily by. Several hundred galleries and museums are there to tickle your artistic fancy and make the lightning of inspiration strike. And in case you are all for the royal treatment, there are sophisticated yachts that will help you slip right back into the world of the original Belle Époque. 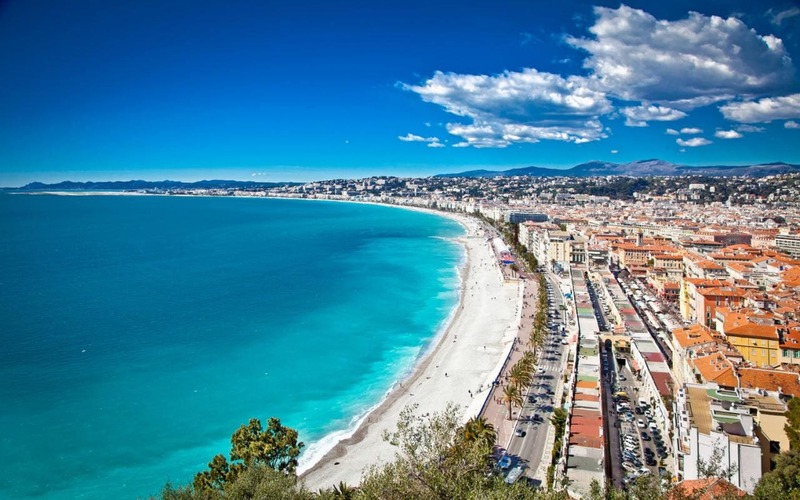 Indeed, no matter who you are, the French Riviera does have something to offer everyone. Nestled right in the lap of picturesque craggy cliffs that overhang choppy sapphire seas, lies the slightly medieval village called Èze. And if you are one looking for where art meets nature in an ecstatic embrace, this place should not escape your itinerary. The alleys wind through stone living quarters that are well-preserved enough to seem right out of the pages of an architectural history book. With the Mediterranean at its back, the village could not have left more dramatic or picturesque. But while you should definitely not forget to bring your camera, hardy and comfy sneakers are a bit of a necessity too because the steep alleyways will take you right to the top of the craggly rocks that tower at a literally breathtaking 1400 feet above the level of the sea. If there is one thing that travellers have forever associated with France, if not its exquisite architecture or it golden beaches, is its perfume. The word France itself seems imbued with an exquisite aroma of lush flower gardens and flavourful food. So, it is not a surprise that the world’s perfume capital would be located in the French Riviera. 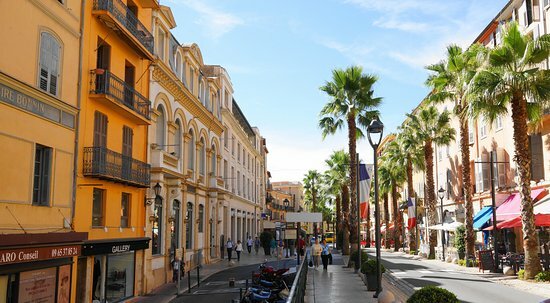 And, obviously, there is no way that Grasse, the capital of all of world’s exquisite tingling aromas, should be missing from your itinerary. Bright purple lavender flowers blanket the rolling sides of the hills and if that image is not enough to create a longing in your heart, we don’t know what else to say. Legendary perfumeries, like Fragonard, welcome you to take free tours of where the magic is actually created too. And since Grasse falls right on the way from Cannes to Nice, getting there is not inconvenient either. It would be a good idea to rent a home in French Riviera and tick these spots off your itinerary one by one. No matter who you are, unless you have been leaving under a rock for the past few decades, you will have heard of the Cannes Film festival. And if you are at all a fan of the art that is filmmaking, then this is not a spot you would want to miss. Because this is where the magic unfolds. The paths have cradled the feet of legendary actors and directors, musicians whose soulful tunes have made our hearts shiver and photographers who have made dreams come alive. Cannes is where dreams and luxury meet. Each day here is a festival. Glorious yachts tower and sway to the rhythm of the waves. Galas and regattas are but an every day occurrence. One may just sit there, like a thousand others enchanted tourists, and watch people mill about ecstatically. The beach too is one to behold. Coco Chanel may have made this beach popular but now it caresses the skin of a million tourists that are drawn here by its festivity and charm. Lie back with your favourite and quite expensive drink in hand on your hotel’s private sands. Or just go for one of the free beaches like de la Boca and the Plages du Midi. Once the artist and the film buff in you is satisfied, it is time to bring forth the fashionista. Because what is France without its unique boutiques and lush, pastel colours that speak joy and taste. And Nice will offer you all of that and more. Indeed, after the quaint medieval feel of Eze and the lavender-hued sensuality that is Grasse, Nice might feel quite cosmopolitan but not in a claustrophobic way. Spend your day lazing on the beach and exploring the several boutiques. Make your way up to the Castle Hill too and let it offer you a breathtaking view of the entire city and the Bay of Angels. But it is the sapphire waters that is the jewel of this crown, with its bright blue hue giving the Cote d’Azur its beautiful name. There are of course a lot more places you should visit if you do have the time. 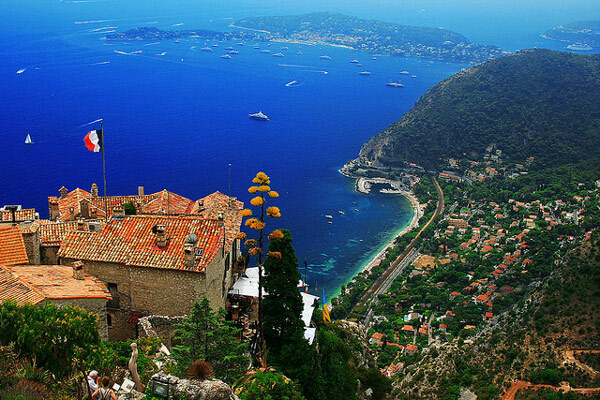 Monaco and Antibes, for example, have marvels of their own to offer. The French Riviera is indeed not somewhere you should go without at least a little time on your hands. The countryside and the pastel town have a time and pace of its own and it is not something you will want to leave behind in a hurry. Just rent a vacation home in French Riviera and slip right into the arms of this charming land, because once you have stared into the soul of the French Riviera, it is an experience to behold. Previous Article Controversies around the world about use of cannabis and CBD oil for cure cancer!